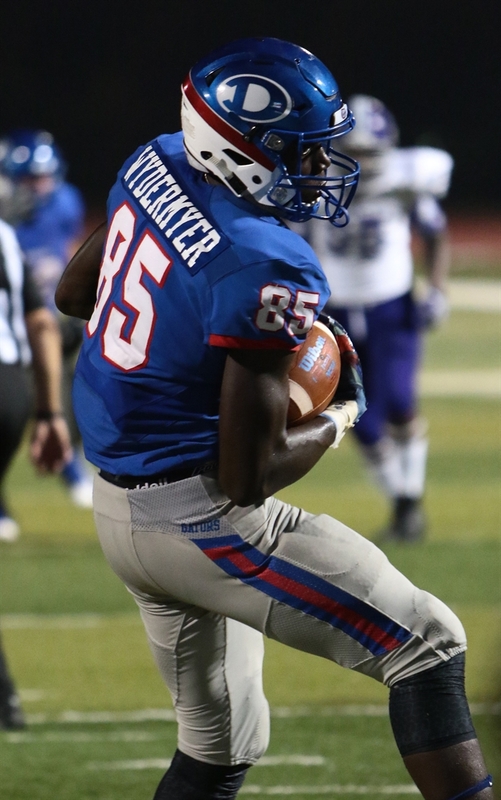 The Gators entered 2018 with just a handful of returning starters and outside of the Dave Campbell's Top 40 in 6A. So much for all of that. Dickinson entered the 2018 season with just four starters back on each side of the ball and coach John Snelson wasn’t entirely sure what to expect from his team before they hit the field in August. 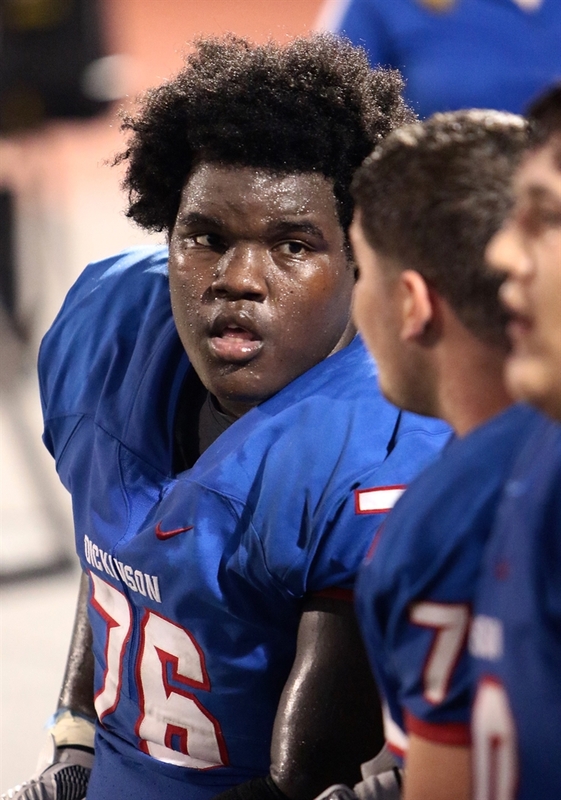 It took just a few games for Snelson to realize he had a special group on his hands, as the Gators opened the year with a 38-8 win over Richmond George Ranch before taking down Pasadana Memorial, Pearland Dawson and Katy Taylor in dominant fashion to close out the non-district portion of the schedule. Dickinson’s success carried over to the District 24-6A slate as the team has cruised past Clear Lake, Clear Creek and Clear Falls by a combined score of 152-42. The Gators have allowed more than 7 points on just two occasions this season while relying on a handful of experienced seniors to lead the way defensively. After making the switch from a three-man front to a four-man front over the summer, Landon Roque (72 tackles, five TFL), Colby Mouton (46 tackles, three TFL) and J.T. Greer (26 tackles, six TFL) helped the rest of the defensive unit adjust to the change before the season. The Gators are giving up an average of just nine points per game on the season and have forced 11 turnovers – including two interceptions apiece from Roque and Jaylen Williams – through seven games. The defense has made life easy on the offensive unit, which has capitalized by scoring an average of more than 43 points per game. Junior quarterback Mike Welch, who missed almost all of his sophomore year with a handful of injuries, has returned to complete 72 percent of his passes for 1,287 yards and 11 touchdowns while adding 302 yards and eight touchdowns on the ground. Receivers Darryl Harris (28 catches, 489 yards, three TDs), Jalen Wydermyer (13 catches, 369 yards, two TDs) and Cameron Galliher (13 catches, 198 yards, three TDs) have served as Welch’s top targets while Jordan Green is the team’s leading rusher with 348 yards and three touchdowns. Dickinson’s chances of continuing to stay on that winning side are in good shape, at least for the last three games of the regular season, as the Gators will face three teams that are currently at or below the .500 mark on the year. Clear Springs will provide the toughest challenge this week before Dickinson takes on Clear Brook (2-5) and Alvin (0-6) to close out the year.